We can help you find the best vendor to manage your mainframe environment. We have a robust Vendor Selection Process that we go through in order to find and vet the best vendors. The process starts with our discovery process. During this process we uncover your business and technical requirements. We then research the marketplace for vendors that may be a good fit for you. 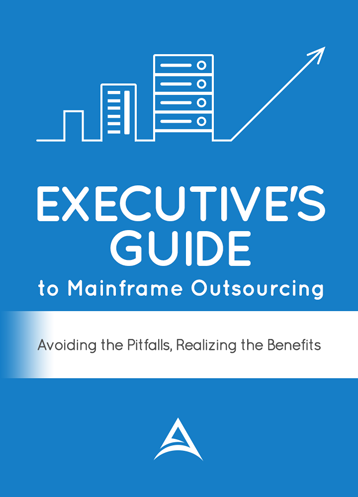 There are 100’s of hosting providers in the marketplace but only a fraction of them provide mainframe outsourcing services. In our process we have over 40 strategic variables to find and evaluate the best candidates for your environment. We will also write and issue a comprehensive RFP, where we detail your goals and requirements. This includes detailing all of your hardware, software and personnel needs. We also present your Service Level requirements and disaster recovery needs. We then evaluate each vendor’s response and provide a Vendor Response Report that compares their offerings on an apples-to-apples basis. This report is very helpful in the down select process. It allows you to quickly assess the strengths and weaknesses of each vendor. We also coordinate vendor Q&A calls, client reference calls, set up site visits to vendor data centers, and coordinate vendor presentations. Additionally, we review the vendor contracts and give you insight into red-flags and negotiation points. We essentially manage each step of the RFP process. We have spent a great deal of time visiting vendors, evaluating their data centers, talking to their staff and most importantly, talking to their clients. We know the providers that have the best reputation and customer satisfaction. We know the ones that are growing and doing well and the providers that are shrinking and losing customers. In short we can share with you insider information that has taken us years to acquire.